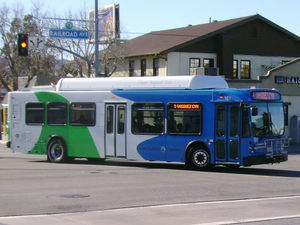 Santa Clarita Transit provides local transit within the City of Santa Clarita. The system connects with Metrolink trains in Santa Clarita. It also provides regional bus service to LA Metro's North Hollywood Station and commuter bus service to employment sites in Los Angeles.